The Bangko Sentral ng Pilipinas (BSP) readily recognizes the role of financial technology (fintech) as a keystone of its efforts to promote financial inclusion. Indeed, the number of Filipinos who own a mobile phone, have a social media account and/or have access to similar technology far outnumbers those who have access to formal financial services. Data from social media agency We Are Social show that there are over 121 million mobile connections in the Philippines while 67 million Filipinos use social media. In contrast, BSP’s 2017 Financial Inclusion Survey (FIS) said that only 15.8 million Filipino adults, or less than a fourth of the total adult population, have a formal financial account. That includes having an account with a bank, microfinance non-government organization, cooperative, electronic money issuer and/or non-stock savings and loan association. For most fintechs, their push for financial inclusion hinge on these disparate numbers. Some players have created mobile wallets that allow users to store money on their phones and use them for payments, remittance and even investments without needing a bank account. Others have even partnered with Facebook to enable fund transfers and bills payments on its Messenger platform. However, the adoption of digital financial products in the country is still very low. The 2017 FIS revealed that only 1.3 percent of Filipino adults, translating to less than 900,000 individuals, have an electronic money account. The survey also revealed that only four percent of adults use digital methods for payments, with a big chunk of the 96 percent that don’t have these saying that they prefer using cash. Sounds odd coming from the head of a fintech firm, but Marzan’s company is approaching the challenge differently. 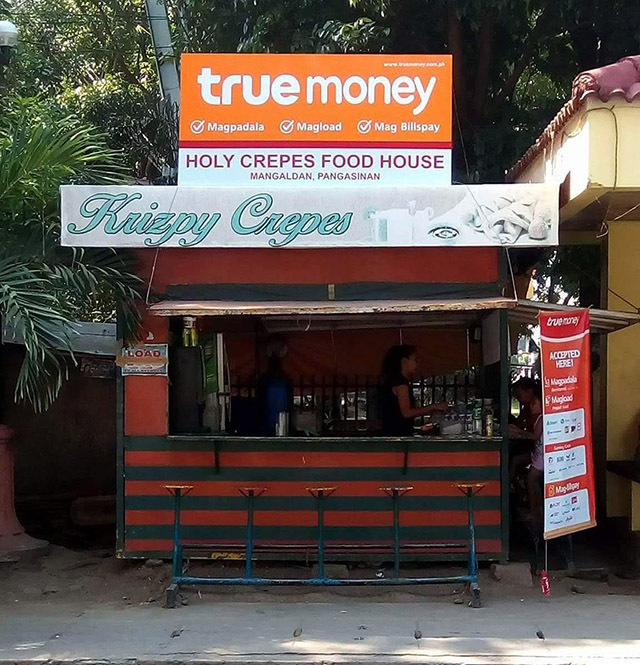 TrueMoney’s main business involves enabling small enterprises such as sari-sari stores, beauty salons and internet cafés to offer financial services on top of their existing businesses. The company provides each enterprise with a point-of-sale (POS) terminal, which contains all the technology needed to become a financial center. And it is this integration of both physical and digital that has allowed TrueMoney to create a financial network larger than any bank or pawnshop in the country in only two years. 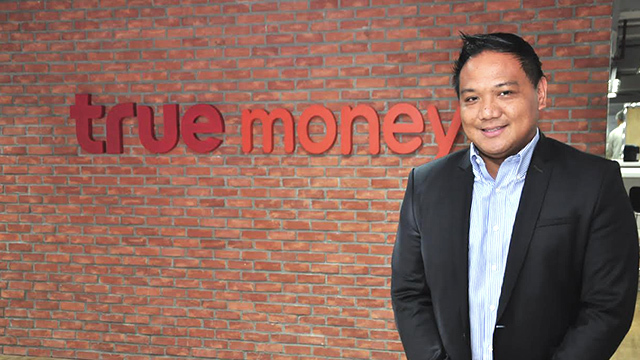 Established in July 2016, TrueMoney Philippines is the fifth and latest subsidiary put up by the Thailand-based company, the others being units in Myanmar, Cambodia, Indonesia and Vietnam. TrueMoney is part of both the Charoen Pokphand Group, which is owned by Thailand’s wealthiest clan, as well as the Alibaba Group of Chinese tycoon Jack Ma. While it is supported by big names, TrueMoney faced an uphill battle when it entered the Philippines in 2016, being an unfamiliar name in a market populated by well-established brands. By then, the country’s two telcos had already been offering mobile financial services and setting up domestic remittance centers for over a decade, while other fintechs had begun getting traction after being in the market for a couple of years. Not to mention the banks, pawnshops and remittance centers that have all been around for much longer. 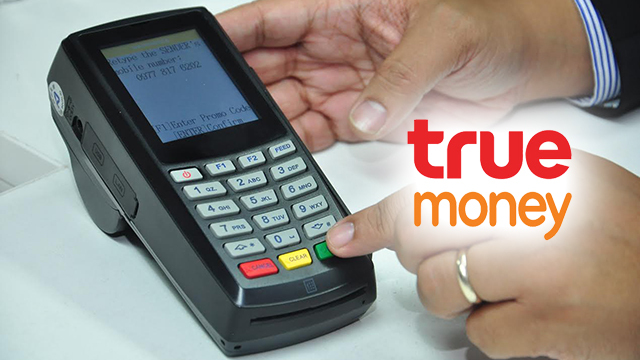 But by August 2018, TrueMoney already had a network of 18,000 partner financial centers all over the Philippines. That’s more than triple its store count of 5,000 in July 2017, a year after it was established. In contrast, most of the country’s largest pawnshops each have branches ranging from 2,000 and 2,500 branches nationwide, while BDO Unibank, the country’s largest bank, operates 1,000 branches. TrueMoney even outnumbers Western Union’s 8,400 Philippine branches and partner outlets, as well as Bayad Center’s 7,100 outlets. This widespread network has allowed TrueMoney to offer financial services to over four million users in the past two years. These services include bills payment, domestic remittance and load top-up. A select number of branches are also providing international remittance services thanks to a partnership with global money transfer service WorldRemit. So how did TrueMoney expand its network so quickly? Marzan admitted that getting from zero to 18,000 wasn’t an easy feat, especially in the early days of operations. Apart from being an unknown name in the market, TrueMoney also had to deal with doubts regarding its business model’s legitimacy. 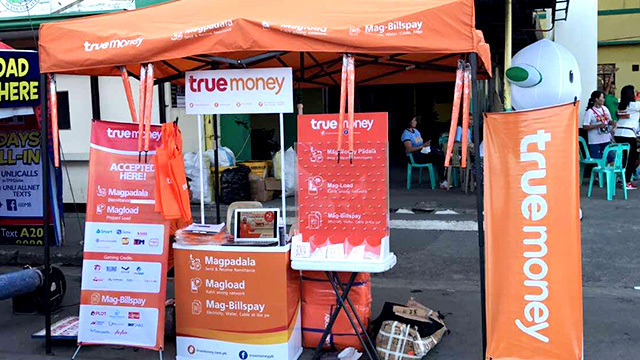 “Acquiring the first 100 TrueMoney Centers was extremely difficult, simply because people did not know who we were,” Marzan told Entrepreneur Philippines. He added that they also came across potential partner retailers who were suspicious of the business because of previous experiences with similar salespeople who turned out to be scammers. Overcoming these obstacles required a specific approach unique to the Philippine market, and it considered every element down to the stores’ design. And the strategy centered on a simple goal: making TrueMoney as visible as possible. Easier said than done when your competitors are financial institutions with decades of experience and established telcos with millions of users, but Marzan and his team were up to the challenge. “One of our battle cries, especially when we were building our first 5,000 [branches], was ‘It always seems impossible until it’s done’ [from] Nelson Mandela,” said Marzan, who shared that it was a quote they put up in their office in the early days. These agents made sure that the partner retailers knew exactly what they were getting into and how their businesses would benefit from becoming TrueMoney Centers. When a small business owner applies to become a center, an account executive would be there to demonstrate how the POS system works and to ensure that it was a legitimate and income-generating business. The immediacy of the process has proven to be very effective. It’s a strategy TrueMoney’s account executives still do today. It allows small business owners to instantly get a taste of the benefits of being part of the network as well as dispel any fears of TrueMoney being another scam. That push to legitimize the brand was also the reasoning behind selecting television host Boy Abunda as its celebrity endorser. He is featured in TrueMoney’s billboards, digital banners and many other marketing collaterals. Marzan’s focus on visibility was also literal, as the TrueMoney team made sure that every small business they partner up with would have the brand’s bright orange color. Part of the benefits a business owner receives from becoming a TrueMoney Center is improving the look of their storefront. “We brand and dress up our stores a lot, because we can have a huge network but if people don’t see them, then what’s it for?” said Marzan. He added that the orange is also good visually, as it’s an uncommon color that easily stands out among TrueMoney’s competitors. That visibility was and continues to be key in TrueMoney’s rapid expansion, as Marzan shared that many of their partner retailers inquire and eventually apply because they saw another TrueMoney Center elsewhere. With TrueMoney’s local footprint already established, Marzan is now focusing on introducing more financial products that its centers can offer. Aside from the addition of international remittance last June, Marzan revealed that TrueMoney is slowly rolling out micro-loans and micro-insurance products into some branches. These products were created by local institutions that have partnered with TrueMoney to use the centers as distribution channels. And of course, Marzan is aiming to make TrueMoney the country’s largest network of financial centers. While zero to 18,000 branches in two years is already impressive, it still hasn’t overtaken the store count of PLDT’s Smart Padala, which claims to have over 20,000 outlets nationwide. But Marzan is confident that TrueMoney will be able to take the crown by end-2018—and widen the lead moving forward.